Guest post by Cheri Bankston, director of clinical advisory services, Curaspan. 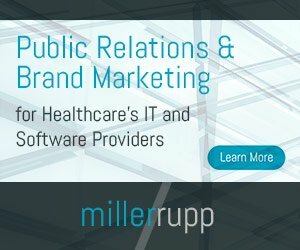 As physicians across large and small practices struggle to prepare for the many payment reforms under the Medicare Access and CHIP Reauthorization Act (MACRA), Centers for Medicare and Medicaid Services’ (CMS) Acting Administrator Andy Slavitt recently suggested that MACRA could be delayed from its intended Jan. 1, 2017, start date. He also proposed that reporting requirements may be adjusted to ease the burdens on physicians. For example, data and measurements could be potentially submitted through an automated method. Merit-based Incentive Payment System (MIPS) is for providers who operate using fee-for-service reimbursements. This new program combines parts of the Physician Quality Reporting System (PQRS), the Value Modifier (VM), and the Medicare Electronic Health Record (EHR) incentive program into one single program for participants. Alternate Payment Model (APM) is for physicians who take on a significant caseload of patients. New payment models enable health care providers to be paid by Medicare. From 2019 to 2024, CMS may pay some participating health care providers a lump sum incentive payment. Working with physicians and understanding their business model is the core of transition management, especially for physicians who are providing care to patients in the Fee-for-Service program. With a deeper understanding, it is easier to foster a more collaborative and effective relationship. Hospitals have been paid a lump sum since the early ‘80s, but it is important to recognize that some physicians and physician groups do have patients enrolled in bundled payment models and others who are not. So how important is it for case managers to know how a physician is paid? For a case manager to properly perform their job, they must know how the business of health care functions. Should patients be treated differently depending on how their physician is paid? No, but health care delivery systems will increasingly improve after learning how to operate more efficiently for all patients by understanding all aspects of their care, both clinical and financial. As an example, the case manager works to assure that the patient has a follow-up appointment with his or her physician within about seven days during discharge planning. The patient may agree to the appointment in order to comply with the hospital staff, or may decide for one reason or another to skip the appointment. Appointment no-shows cost time, staffing and money and may put the patient at risk for a complicated outcome. Meeting with post-acute providers to better understand their scope of services is a valuable exercise. By utilizing network resources to meet with physician groups or physician practice managers, understanding their workflow and how to better support and streamline care to their patients becomes easier. Talking to groups with admitting privileges as well as teaming up with community-based groups who provide the post-discharge follow-up can enhance this understanding, too. Engaging with these community-based groups by asking important questions such as how they track patients in the hospital and how their workflow and operations contribute to this effort of tracking a patient’s progress will be key to knowing the effects of the new MACRA ruling. When physician groups provide quality care and receive good scores, hospitals will benefit, and most importantly, so will patients.